This week, the Southern Poverty Law Center announced that the number of hate groups in the United States continued to rise for the fourth consecutive year in 2018. Also, this week, a television actor was arrested on charges of staging a fake racist and homophobic attack on himself, allegedly so he could appear more sympathetic in salary negotiations. The announcement by Chicago police of the case against Jussie Smollet sparked outrage and dismay across the nation, particularly among people of color and LGBTQ people who are increasingly targets of hate crimes like the one Smollett allegedly staged. 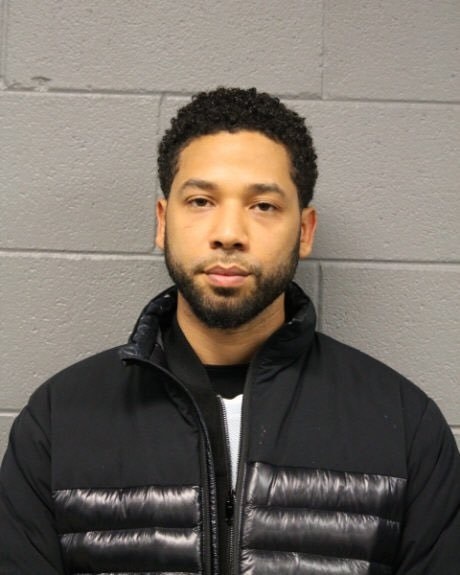 Smollett is, of course, presumed innocent until proven guilty and is entitled to due process. But the accusations shock the conscience. The SPLC said the 30 percent rise in the number of hate groups since 2014 coincided with a 30 percent increase in the number of hate crimes reported to the F.B.I. from 2015 through 2017. At least 50 people were killed in a wave of right-wing violence in 2018, according to the Anti-Defamation League. Just a week ago, federal authorities arrested a self-described “White nationalist” Coast Guard officer who had stockpiled 15 firearms and more than 1,000 rounds of mixed ammunition and who wanted to use violence to establish a “white homeland.” His hit list of prospective victims included prominent Democratic politicians, activists, political organizations and media personalities. In the face of the growing menace of hate-fueled terrorism, it would be tragic if the collapse of Smollett’s story makes it harder for true victims of hate crimes to be believed. As New York Times columnist Jamelle Bouie noted on Twitter this week, the details of many hate crimes are outrageous, and his accounts of the horrors of lynchings and other racially-motivated terrorism are sometimes met with incredulity. “Why didn’t anyone do anything?” he was asked. “Take a deep dive into the history of racist violence in the United States and you'll come away with countless items that sound absurd or even … conspiratorial. But they are true, and the truth of them informs reactions today,” Bouie wrote. Bouie was responding to a conversation that included mention of the 1998 murders of James Byrd Jr. and Matthew Shepherd. White supremacists attacked Byrd, spray painted his face and chained him by his ankles to the bumper of a pickup truck. He was dragged three miles, conscious for most of his ordeal until he was decapitated. Shepherd’s attackers, motivated by homophobia, tied him to a fence and pistol-whipped him into unconsciousness. He hung on the fence for 18 hours before he was found, and lingered nearly a week in a coma before he died. The Chicago police appear to have done thorough work in Smollett’s case. They took his complaint seriously, devoted considerable resources to investigating his claims and followed the evidence where it led. Every report of a hate crime should be investigated as thoroughly. Many questions remain about the Smollett case. False reports – particularly in a high-profile case – represent a squandering of precious law-enforcement resources. Chicago, battling a wave of gun violence, can ill afford the distraction. Indeed, Superintendent Johnson said, "I just wish that the families of gun violence in this city got this much attention, because that's who really deserves the amount of attention that we're giving to this particular incident." Rather than minimize the true victims of hate crimes, we should take this opportunity to turn our attention to the rising threat. And should Smollett be proved beyond a reasonable doubt to have betrayed the public trust, must be held accountable for his actions.